Eat well and bring the taste of Italy into your life with dishes that are bursting with colour and packed with flavour, just like this classic Spaghetti Bolognese - a perfect meal for the whole family! Our recipes have been put together to help you try something different. 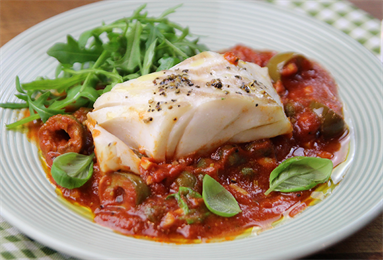 Try this delicious Baked Cod and passata recipe with a spicy tomato sauce, olives and garlic. 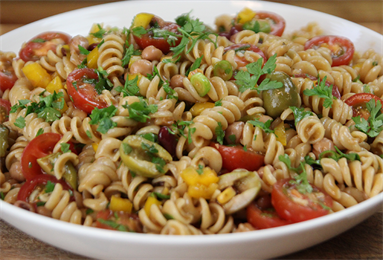 We combine simple ingredients in this Mediterranean pasta salad to create a refreshing dish that is ideal for a quick lunch or served as an accompaniment to your main meal. Whether entertaining for friends or preparing a no-fuss family feast, we’ve created a recipe for every occasion. 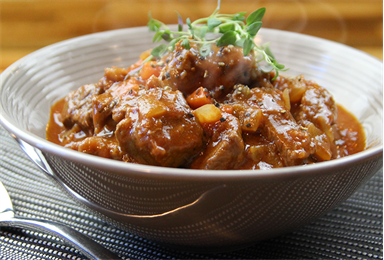 Try this Italian Beef Stew, slow cooked and packed with flavour. Speedy and delicious Italian style meals in under 30 minutes. Antipasti inspiration for a simple appetiser. Fish is a versatile ingredient that can be used to create a number of different dishes. From baked sausages to Italian beef stew, get enthused with our delicious Italian inspired meat dishes. A favourite ingredient amongst all Italians. 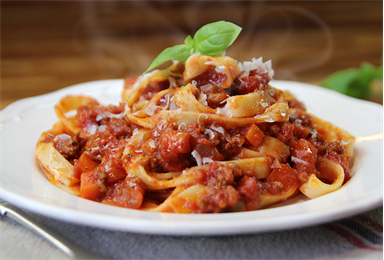 Versatile and easy to cook, we have a whole host of pasta dishes for you to try. How to make pizza is an Italian skill so why not make your own and personalise with your favourite toppings. Try our recipes for this classic Italian rice dish that can be served as a starter or a main meal. Hearty, winter warming soups that are simple to make. Not exclusively for vegetarians, these tried and tested recipes are perfect for all food lovers.